Pauline Kruseman may seem an unlikely advocate for women’s financial inclusion. Her lifelong passion is in the arts and world cultures, having led some of the Netherlands’ most valued museums, the Tropical Museum/Royal Tropical Institute as well as the Amsterdam Historical Museum. Pauline also served as chairperson of the National Committee of the 4th and 5th of May, the Netherlands’ days for commemorating World War II and Liberation Day in presence of the Royal Family and the Government. She remembers her introduction to the issue of microfinance for women as a chance encounter. In 1985, Women’s World Banking held a global meeting in the Netherlands. “As so many things happen in life, someone just contacted me, and thought I would be interested in Women’s World Banking,” says Pauline. This introduction set her on a path to become one of the organization’s most longstanding and influential allies. Women’s World Banking was first registered as a Dutch “stichting” or charity organization, so there was always a special relationship between the organization and the Netherlands. Pauline was well-positioned to nurture this relationship. By the mid-1980s, she had strong contacts with the Dutch government in her role as deputy director of the Tropical Museum. She credits many committed Dutch development leaders for the government’s early interest in microcredit, including woman Minister for Development Cooperation Eegje Schoo, who served from 1982 to 1986, and later, her long-time successor Jan Pronk, who served from 1973 to 1977 and from 1989 to1998. In 1990, Pauline officially became a member of the Women’s World Banking Board of Trustees and Executive Committee, where she served until 2003. She valued the opportunity to work closely with local affiliate organizations and see how microfinance was working for women on the ground. “You can’t just be a board member behind your desk. I needed to see the work and get a feeling of what we were doing in person,” says Pauline. She was inspired by pioneers like Dr. Jennifer Riria in Kenya and Doctora Mercedes Canalda in the Dominican Republic who were building institutions in markets where women had no previous access to financial services. “Women like Mercedes and Jennifer have a wonderful way of talking with their clients and convincing people around them about the necessity of microfinance programs for women,” she says. Pauline is particularly proud of the training programs for local affiliate organizations that were developed during her time with Women’s World Banking. Designed to train both managers and staff on leadership development as well as an array of finance subjects, the programs offered opportunities for affiliates from all around the world to come together and share knowledge. The programs designed during Pauline’s tenure served as a foundation for the robust training curricula that are offered by Women’s World Banking today. Another pioneer sat alongside Pauline on the board: Ela Bhatt, who founded the Self Employed Women’s Association (SEWA), a trade union for self-employed women in India, and the Cooperative Bank of SEWA. Ela educated Pauline on the plight facing poor women and helped deepen her commitment to promoting financial inclusion for women. “It was a privilege that Ela was chairperson during my time on the board. She was always asking: What are we doing for the poor women? What is our progress? What is going on in the regions? On the board, you can easily talk about structure, the budget, etc. but she always kept our mission alive in the meetings,” says Pauline. Pauline worked with Women’s World Banking’s leadership to gain significant Dutch funding for the organization’s global efforts to help establish financial institutions to better serve low-income women. However, though the Dutch government was consistently supportive of microcredit for the poor, Pauline’s early meetings with banks were a different story. “When we tried to fundraise at the big banks in the Netherlands, those gentlemen looked at us and thought ‘nice ladies,’ but they were not interested at all—not at all. That was a very hard time,” recalls Pauline. She took this as a challenge and helped secure one of the most influential global advocates for microfinance for women. 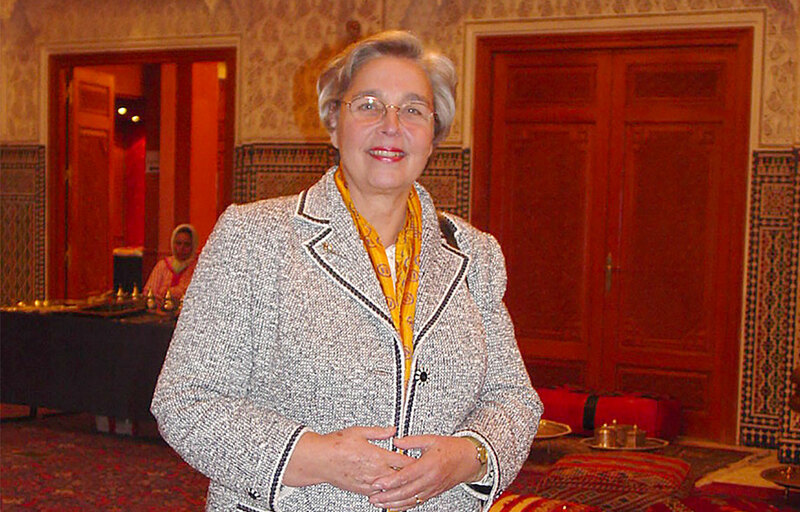 In 2004, Pauline’s fellow Dutch advocate and successor on the Women’s World Banking Board, Marilou van Golstein Brouwers, was serving as an advisor to UN Secretary General. She asked Pauline to introduce her to then-Princess Máxima of the Netherlands (now Her Majesty Queen Máxima) who seemed a likely ally in the campaign to raise awareness and support for microcredit for women. Today, Queen Máxima serves as the UN Secretary General’s Special Advocate for Inclusive Finance for Development. “All of the sudden, everyone in the Netherlands thought this was an important issue. With such a prominent, popular spokesperson, microcredit became fashionable to talk about. Since then, it has been much more popular in the Netherlands and the world because we have such a wonderful ambassador in Queen Máxima,” says Pauline. Reflecting on her career as both a woman leader in the arts community and an advocate for women’s financial inclusion, Pauline has some advice for women today.